For information on Impaired Driving by Drugs (Other than Alcohol), click here. Prior to September 20, 2010, in British Columbia, if you were exhibiting signs of impairment by alcohol while in care or control of a motor vehicle, a police officer would detain you and take you the police station where you would be required to provide breath samples into a breathalyzer machine. Prior to taking you to the police station, the officer might or might not require you to blow into a roadside screening device. If you blew over .08 on the breathalyzer machine at the police station or refused to provide samples without a reasonable excuse, you would be served with a Promise to Appear to face criminal charges in court along with 24-hour Prohibition and a Notice of Intention to Prohibit for 90 days starting 21 days hence. You had 7 days to dispute that 90-day Prohibition. After September 20, 2010, if there was any suggestion of alcohol consumption, the police would require you to provide a sample into a screening device at the roadside. If you blew a fail on that roadside screening device, you were only taken to the police station to provide actual breathalyzer samples if you had been in an accident or were a repeat offender. Otherwise, the test on the roadside screening device was the final, determinative test. The consequences of blowing a “fail” were harsh, but only administrative (ie, not criminal) in nature. Click here to review the administrative penalties that were imposed where no charges are laid. On November 30, 2011, the BC Supreme Court decided the case of Sivia v. British Columbia (Superintendent of Motor Vehicles. In that case, the court found the law entitling the police to issue 90-day prohibitions and levy heavy administrative fines and penalties without a reasonable opportunity for a fair hearing to be unconstitutional. It remains to be seen how the Province of British Columbia will respond to that decision. The impact, however, has been a return to the pre-September 20, 2010 practice for those who blow a Fail on a roadside screening device. Now, rather than being served an Immediate Roadside Prohibition, you will be taken to the station and required to provide breath samples into a proper breathalyzer. If you provide breath samples indicating a blood alcohol level of over 80 mg of alcohol in 100 ml of blood, or if you refuse to provide the required samples at the station following a breathalyzer demand by a police officer, you will be released on a Promise to Appear in court to answer criminal charges. You will also be served with a 90-day prohibition (commencing 21 days from the date of service) which you are going to have 7 days from the offence date to challenge. Click here for information on how we deal with Administrative Driving Prohibitions. Since November 30, 2011, if you fail to blow into a roadside screening device, you will be released on Appearance Notice or Promise to Appear requiring you to attend court to answer to a charge of Refusing to Provide a Breath Sample. You will also be served with the 90-day administrative prohibition described above. Important Note: The police can now issue two different kinds of 90-day prohibitions — one of which starts immediately and the other 21 days later. It is therefore imperative that you determine which type it is before you resume driving. Otherwise, you risk being charged with Driving While Prohibited and having no insurance coverage in the event you are in an accident. After being served the Promise to Appear, you are required to personally attend court unless you provide instructions to an agent, invariably your lawyer, to appear on your behalf. The initial appearances are not trial dates – they are pre-trial appearances to determine issues such as disclosure, type of plea and scheduling. Unless the court otherwise requires it, it is our practice to look after all pre-trial appearances on behalf of our clients without requiring them to attend. If you are convicted of Impaired Driving, Over .08 or Refusing to Blow, a first offence carries a criminal record and a minimum one year driving prohibition. A second offence carries a minimum 30 days in jail and three year driving prohibition. A third offence? A minimum 90 days in jail and a lifetime driving prohibition. Once any prohibition is over, you will have to pay for and complete the Responsible Driver’s Program and also pay for the installation and monitoring of an interlock (alcohol detection) device on any vehicle you propose to drive for a period of one year. The cost of the Responsible Driver’s Program, the Interlock Device, administrative penalties and reinstatement fees is approximately $4,000.00. Common defences to the charge of Impaired Driving involve a consideration of the symptoms displayed, including manner of driving. If they cannot be minimized or excluded, we may try to establish the possibility that they are caused by something other than alcohol. It is noteworthy that if the police officer has made you blow into a roadside screening device because, having observed you, he or she only merely suspected you had alcohol in your body (as opposed to having had reasonable grounds to believe that your ability to operate a motor vehicle was impaired by alcohol). In other words, that suggests that the evidence in support of the Impaired Driving charge is weak. On the “Over .08” charge, the Crown almost always tries to prove that your blood alcohol level was over 80 mg of alcohol in 100 ml of blood by use of the Certificate of Analyst that was served upon you at the time of your release from custody. As long as the breath samples were taken within 2 hours from the time of driving (along with other technical requirements) the readings shown on the certificate are presumed, in law, in the absence of evidence to the contrary, to reflect your blood alcohol readings at the time of driving. Common defences to this charge involve excluding or limiting the effect of the certificate because of a breach of your rights under the Canadian Charter of Rights (ie. Your right to counsel or your right to be secure from unreasonable search and seizure) or raising reasonable doubt that all of the technical requirements the prosecution must establish to bridge the gap between the time the readings were taken and the time of driving have been met. The Crown prosecutor can attempt to overcome some of the problems in “bridging the gap” by calling a forensic alcohol expert and/or the technician who actually conducted the tests as a witness although this is rarely done. If breath samples could not be taken for medical reasons, the police will sometimes demand that you provide samples of your blood to a qualified medical professional. While there are some defences unique to blood sample cases, the general approach to these cases is similar to breath sample cases. If you are charged with Refusing to Provide a Breath Sample, the Crown must prove that the demand made was lawful – that is, it must be based on reasonable grounds, properly explained and made in a timely way. 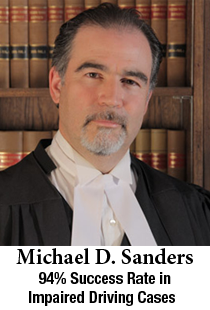 Improper advice or implementation of your right to counsel is a frequent reason to exclude the words of refusal from evidence, a ruling that will result in an acquittal. Even if the demand was proper, you can escape criminal liability if you have a “reasonable excuse”. Reasonable excuses in law are usually related to a person’s health making it difficult or impossible to blow. Police misconduct can also provide the basis for a reasonable excuse. As a general rule “constructive” refusals (where a person appears to be trying but is unsuccessful) versus flat refusals (“I’m not blowing so forget it.”) are easier to defend.